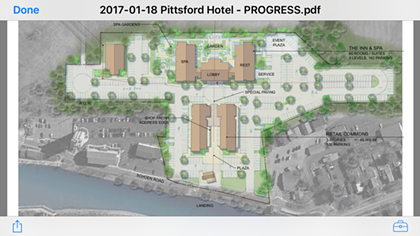 [UPDATE] The Village of Pittsford's Schoen Place has been a longstanding success story of Erie Canal shorefront redevelopment. The area morphed from a collection of aging and unused mills, barns, and warehouses to a thriving business district that draws visitors from across the region. But Schoen Place's transformation isn't complete. It has an "unfinished piece," as Mayor Bob Corby phrases it: the former Hutchinson-Zornow bean mill. 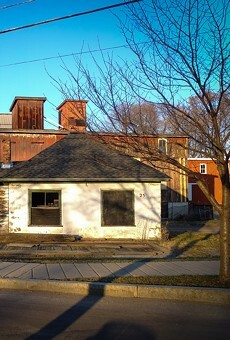 The property at 25 Schoen Place, roughly between the Pittsford Flour Mill and Northfield Common, has a dormant warehouse building and barns along with a small office building. 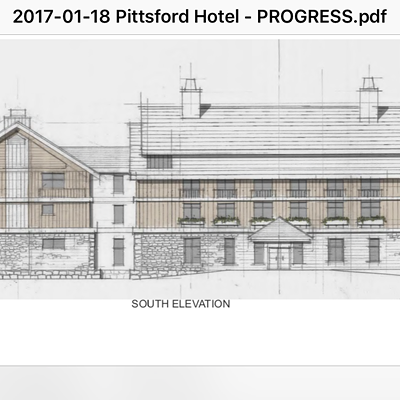 And Wilmorite wants to redevelop that property and a few acres of land behind it. 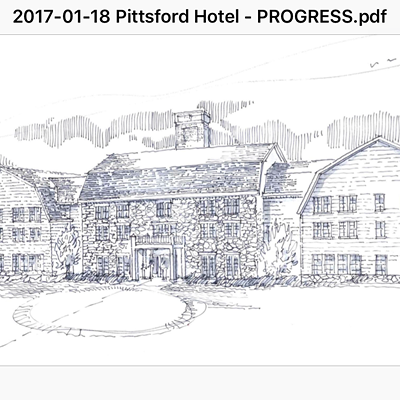 Wilmorite wants to redevelop 25 Schoen Place in the Village of Pittsford. 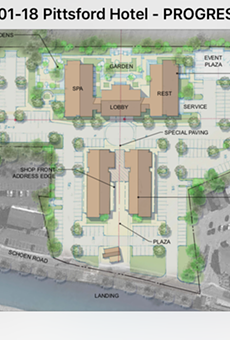 The property is located in the village’s popular canalfront business district. 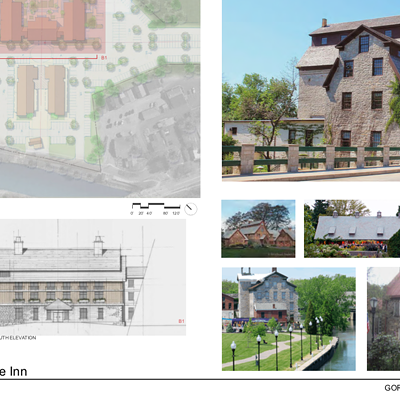 Corby says any project at the Hutchinson-Zornow site will have to be walkable and it'll have to respect the village's historic character. 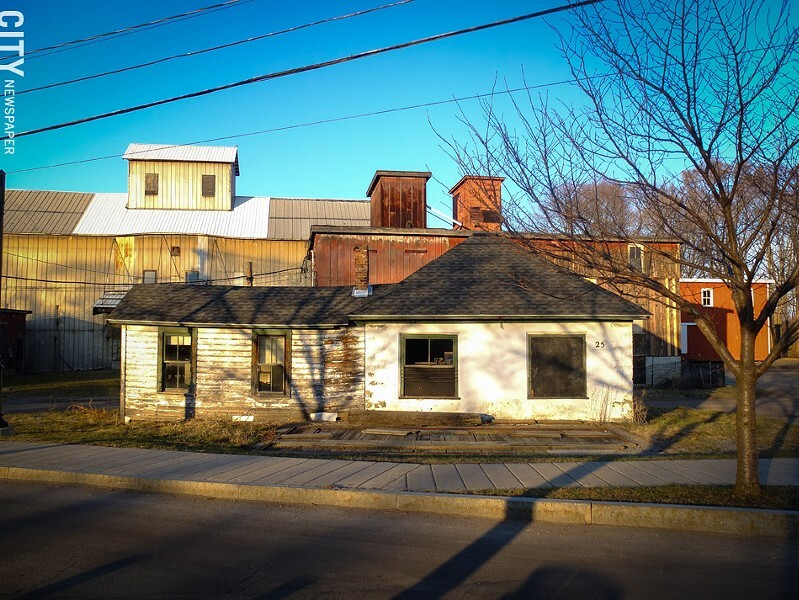 Wilmorite's initial submission isn't clear about whether the company plans to reuse the existing 100-year-old, canal-era structures, but village officials want the developer to preserve and rehabilitate them. 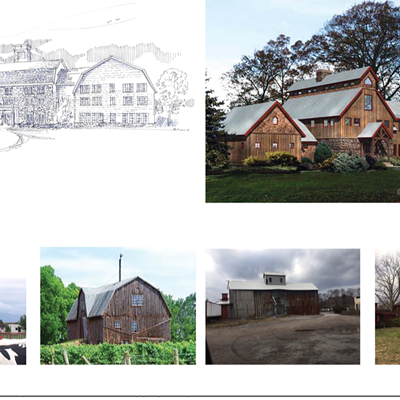 "In many places, buildings like this are becoming increasingly rare," Corby says. 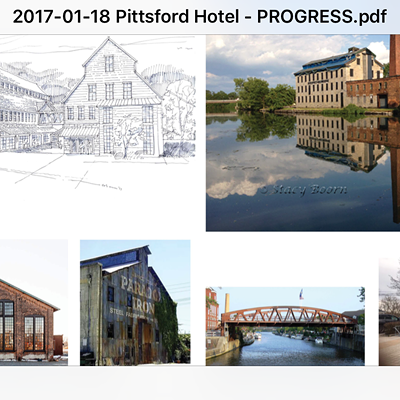 He cites the neighboring Pittsford Flour Mill building as an example where creative reuse of buildings added to the character of Schoen Place. The developer rehabbed a large, unused mill and storage building and converted the adjacent concrete silos to office space.